Light up the stage with a smile and your Capezio Daisy Ballet Shoes. Supple leather upper provides an intense amount of comfort for your young dancer. Delightful daisy print decorates the hung-cotton lining. Satin I.D. tag. Elastic tie is secured. Elastic ankle strap provides a secure fit. Full suede outsole for traction, poise, and versatility. This is style number 205T/C. Measurements: Weight: 1 oz Product measurements were taken using size 9.5 Toddler, width M. Please note that measurements may vary by size. Weight of footwear is based on a single item, not a pair. 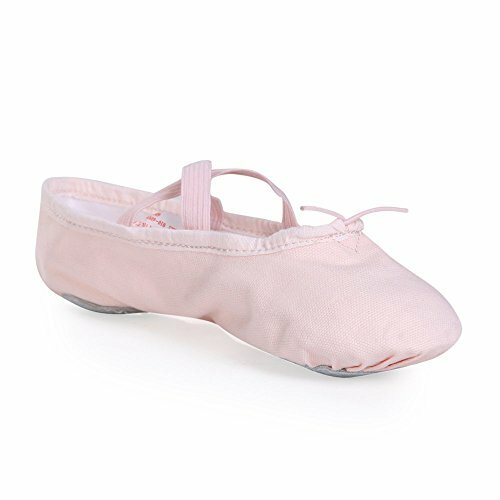 She'll love every minute of wearing Capezio's Daisy ballet shoe. 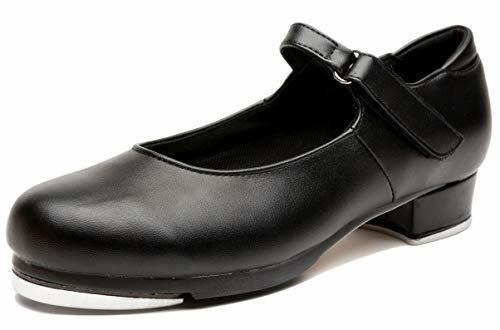 The leather shoe features a lightly padded footbed, suede sole for ultimate flexibility, and a pre-attached elastic strap keeps her foot snug and in place. Daisy print on hung cotton lining, Unisex no-print lining for black colorway.All dance shoes are to fit snug and stretch with use. 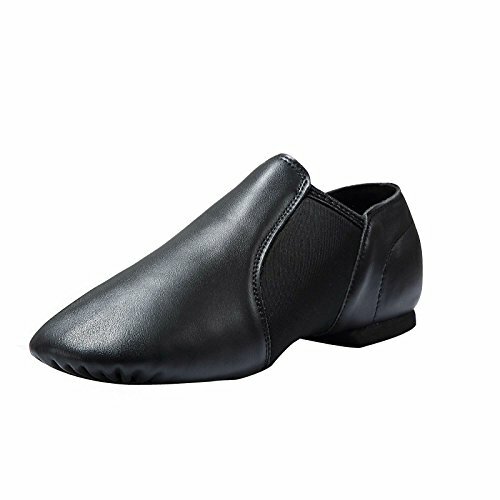 Linodes Leather Jazz Shoe Slip On (Toddler/Little Kid/Big Kid) is specially made for jazz dance and gymnastics. The upper material is soft leather and the lining material is texile, which is both comfortable and durable. 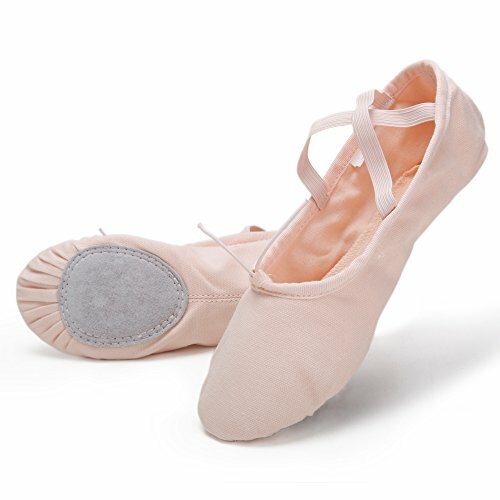 The heel is flat and light with split sole design which can offer a great support and grip for dancers. 4.Find your size in standard size table based on your feet length. Let your feet respond to the rhythmic sounds of the beat with the Jr. Tyette tap shoes. Great beginner shoe features a PVC or PU upper for glistening glamour. Light toe box for the perfect fit. Low-profile design features a sculpted vamp and sides. Grosgrain ribbon tie adds feminine flair. Eyerows are attached with elastic for a secure fit. Brushed micropoly lining keeps feet feeling nice and comfy. Achilles notch with foam-padded sheep skin collar for added comfort. Firm heel counter for support. Foam padded footbed for a cushioned step. Flexible outsole with traction grooves and divots. Tele-tone toe and heel taps. Measurements: Heel Height: 1 in Weight: 7 oz Product measurements were taken using size 2 Little Kid, width M. Please note that measurements may vary by size. Weight of footwear is based on a single item, not a pair. The Jr. Tyette tap shoe from Capezio features a thick, low heel, soft microfiber linings, and a padded collar for extra comfort and support. 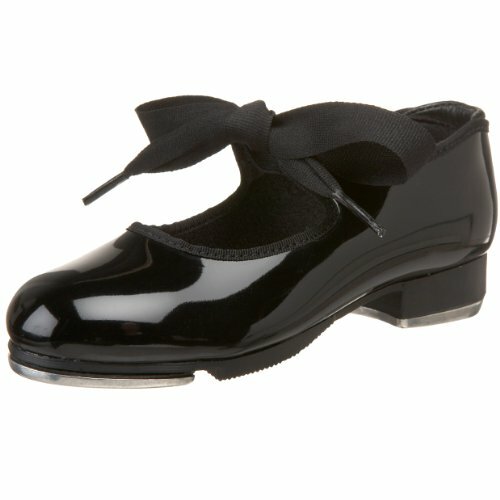 A grosgrain ribbon ties on the center front, and a rubber sole patch helps to steady her every move. Foam padded footbed.Please note that Childrens shoes are cut wider and a size 1 child is equivalent to a size 3 adult. 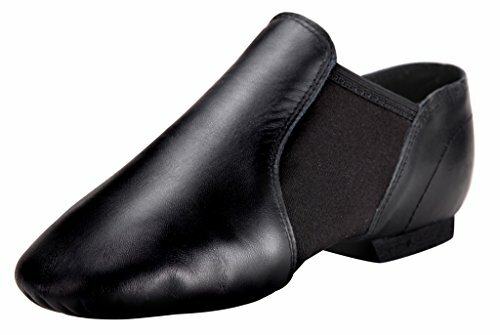 Dynadans Leather Upper Slip-on Jazz Shoe (Big Kid/Little Kid/Toddler) is specially designed for jazz dance and gymnastics. Made of soft cow leather and texile lining material with neoprene stretch arch insert, the shoes are both comfortable and durable. The heel is flat and light with split sole design, which can offer dancers a great support and grip. 4.Find your size in size chart accordingly. 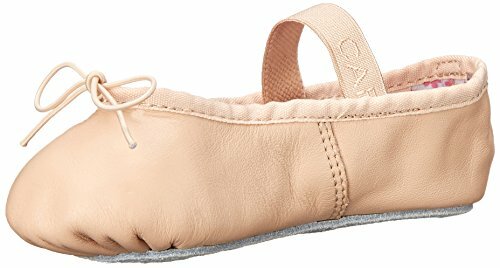 PERFECT FIT: CIOR Ballet Shoes is made of super comfortable and lightweight stretch canvas and split sole. Covered edge with cotton cloth ensures a perfect fit on the feet. COMFORTABLE: Soft and durable Canvas upper, leather sole, keep your feet feeling breathable and comfortable! INGENIOUS DESIGN: Cross elastic cord are tightly sewn and adjustable elastic drawstrings bring the most comfortable tightness for the feet. ANTI-SLIP SOLE: Padded with genuine suede leather sole, add more secure traction and prevent slips and falls. Please refer to the size chart for proper sizing. Dance shoes are supposed to have more snug fit instead of loose fit like other regular shoes. Bloch Annie Tyette Tap Shoes have a faux leather upper and a rubber sole. The shoes have Techno heel and toe taps that provide traction and sound. Tap dancers can tap away knowing that the shoes have a padded insole to absorb shock as they dance. An elastic tie closure can be easily adjusted to reduce tension on the instep. Techno taps. Sole made of rubber. Synthetic leather upper. Elastic tie closure. Full sole. Padded insole. Integrating the performance of comfort wear and nice appearance, which bring the perfect experience to dancer. We pursue a dream to inspire greatness in dance school and professional academies. 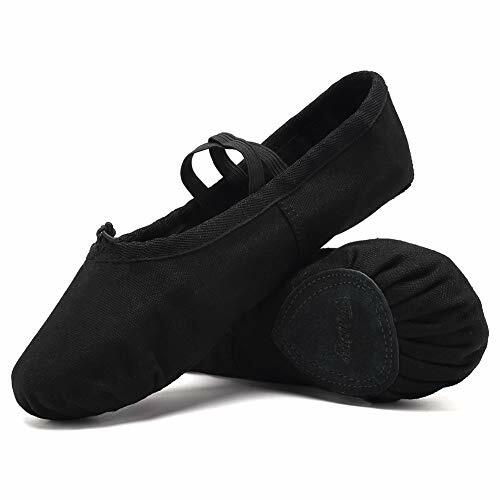 Perfect kid toe shoes for ballet and gymnastics and yoga practice,performance,and professional. Especially for children on a generous last. PREMIUM QUALITY : Constructed of high quality canvas upper, resistance split leather soles and adjustable elastic drawstrings to make the shoes suit your feet well. OUTSTANDING PERFORMANCE & UNIQUE DESIGN : Lightweight slippers to let your feet breath. Cotton insoles to improve the comfort of the shoes, softness, Very comfortable. Recommended by professional ballet instructors. COMPLETE COLOR AND SIZE : Classic colors and true to size. Attention!!! They aren't supposed to fit like regular street shoes, Please choose the size according to the feet length, Refer to the Shoe fit guide in 7st images. for proper sizing, according to the buyer's experience, Order half size up or one size up. Wider fit, have more room for growth, Especially for children on a generous last. MULTI-PURPOSE USE : Suitable for ballet dance, jazz, gymnastics, yoga, modern dance, ballroom dance, dance training, physique lesson and etc. ; suitable in all seasons. 100% RETURN/REFUND :100% brand new guarantee,100% quality guarantee, 100% best customers service guarantee. Please Email To HUITEM Support Team For Help If You Had Any Problem With Your Orders. We will reply you within 24 hours and offer you best service. Guaranteed Return/Refund For All Orders From The Seller. 1.Our shoes carry with Chinese size, it is not standard US Size ,Maybe you can see our size chart ,and measure your feet long. 12C=18cm=7.08'', 12.5C=18.5cm=7.28'', 1 B(M) US=19cm=7.48", 1.5 B(M) US=19.5cm=7.67", 2 B(M) US=20cm=7.87", 2.5 B(M) US=20.5cm=8.07", 3 B(M) US=21cm=8.26", 4 B(M) US=22cm=8.66"
Noted: Please choose the size as your usual wear, for example, you wear US size 8 sports shoes, you can choose the size 8 dance shoes. Let your heart beat for these adorable mary jane shoes! Look cute and stylish with round toe, bow on the side and a single strap with an adjustable buckle across the vamp. 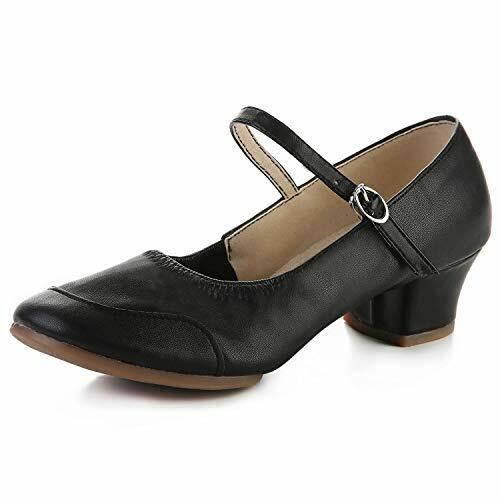 Measurement: Heel Height approximately 1.75"
These adorable Mary Jane Shoes are a must have for every girl's closet as they never fade in fashion but rather remain the most elegant and stylish choice for girls. Gorgeous Peep shoes are an everyday essential to complete your kids look. This revolutionary trend has become a wardrobe staple. Leather sole+ Breathable PU upper; Easy to clean with wet dishcloth. 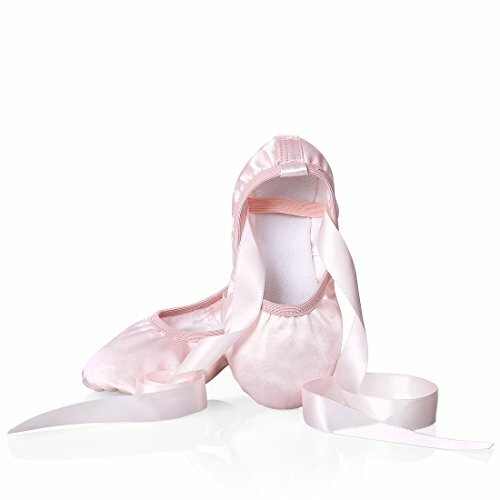 Feature: PU upper is so cute for our little children,pefect for for dancing, gymnastics,party and wedding. 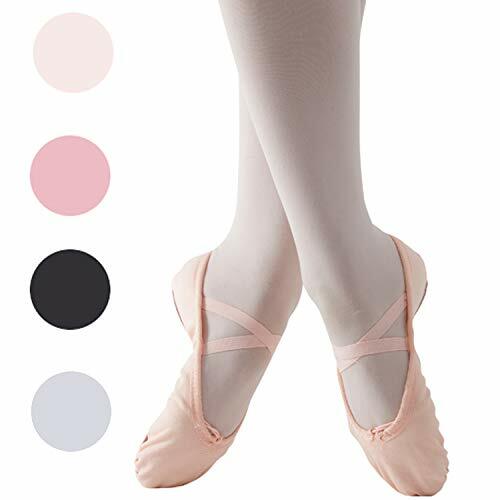 Premium Material:Professional Soft Ballet Shoes With breathable Pu, light weight you feel flexible and comfortable when you dancing. Leather Sole Wear Resistant, Waterproof, Skid Resistant To Prevent Wrestling. Size Choice:Refer to the shoe size chart in images for proper sizing. 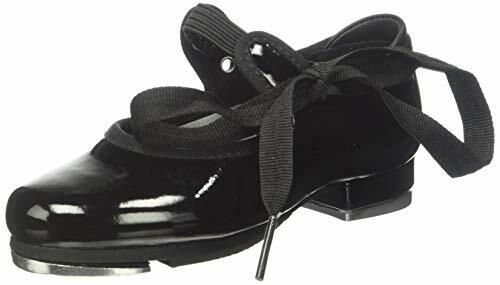 Dance shoes are supposed to fit close to the foot, they aren't supposed to fit like regular street shoes, Please Measure Your children's Foot Length For Safety And Get the best Fit. For kids younger than 5 years old, please order Toddler 5M-Toddler 10M;For kids between 5 and 10 year old, please order Little Kid 11M-Little Kid 3M. Boys need order one size up. Easy to care: After gently brushing off the dry dirt, use a damp cloth with a small amount of mild detergent, wipe the shoes with a dry cloth and air dry, not machine washable. Fashion beautiful appearance, excellent material, bring you not the same as wearing experience. Because each monitor is different from the color and there may be a slight difference in kind, thank you understanding. According to some customers' feedback, we have adjusted the size chart(in picture area),please measure your kid's foot length and refer to our shoes inner length before buying to choose the right size.Recommended shoe length = foot length +0.2-0.4 inches.If your kids feet are wideror thicker, it is recommended to choose a larger size. Exquisite workmanship, high quality.Fashion beautiful appearance, excellent material, bring you not the same as wearing experience. The two ribbons wrap around the dancer's ankle in opposite directions, overlapping one another so as to form a cross at the front. The ends are then tied together in a knot, which is then tucked under the ribbon on the inside of the ankle to hide it from view. 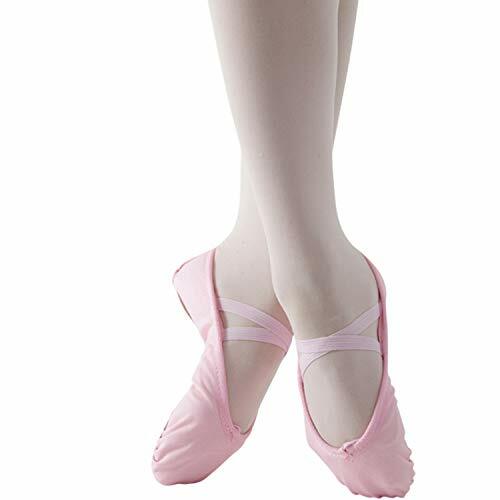  ATTENTION: The size of ballet slippers is generally smaller than normal street shoes. SO BETTER TO ORDER ONE SIZE UP. ALSO DONT FORGET to choose one size up for wide feet or high instep. AT LAST what u may need take attention is to pick the right size from your child(res) or yourself in correct way . 3 M US Little Kid = EU 34 = Fit Foot length 215-220mm / 8.5-8.6"
3.5 M US Big Kid = EU 35 = Fit Foot length 221-225mm / 8.7-8.8"
4.5 M US Big Kid / 5.5 M US Women = EU 36 = Fit Foot length 226-230mm / 8.9-9"
5.5 M US Big Kid / 6.5 M US Women = EU 37 = Fit Foot length 231-235mm / 9.1-9.25"
6 M US Big Kid / 7.5 M US Women = EU 38 = Fit Foot length 236-240mm / 9.3-9.4"
7 M US Big Kid / 8.5 M US Women = EU 39 = Fit Foot length 241-245mm / 9.5-9.6"
9.5 M US Women = EU 40 = Fit Foot length 246-250mm / 9.7-9.8"
10.5 M US Women = EU 41 = Fit Foot length 251-255mm / 9.9-10"
11 M US Women = EU 42 = Fit Foot length 256-260mm / 10-10.2"
These dance shoes are featuring a soft breathable lining, an attached ankle strap with a pin buckle. 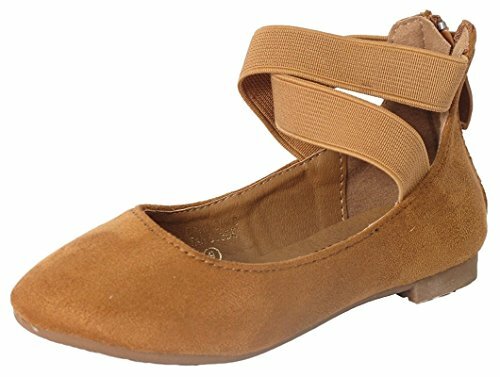 These shoes are popular in dance schools and professional dance academies. NLeahershoe Made of synthetic upper, one strap stitched buckle closure, provides you with soft, flexible comfort. NLeahershoe Split sole design allows for proper mounting a great sound, while heel counter to provide additional support. NLeahershoe Padded insole and supple lining caresses foot, reduces fatigue. The sleek outlook is very appropriate to modern life and enjoy the attitude. NLeahershoe This exquisite workmanship allows the maximum flexibility so as to ensure you can immersed yourself while dancing. .Elastic Soft Folding waterproof mary jane kids Wedding shoes Design Which Can Protect Kids'Feet From Hurting ,Let Your Kids Enjoy Playing. .It Is Great Gifts For Birthday,Holiday,Christmas Or Any Celebrations. Makes You Princess More Cute And Beautiful. 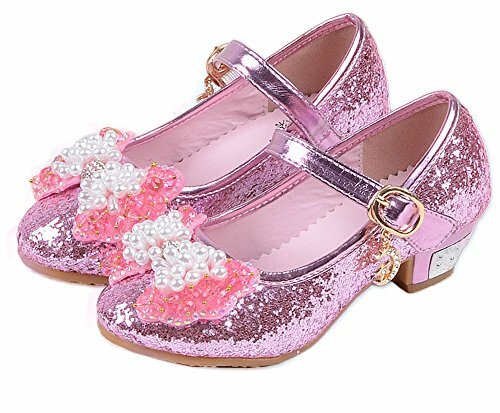 Anti-Slip And Wear-Resistant Sole:Dressy Mary Jane Flats Rubber Material,It Is Safer To Walk,Run,Playing,Dancing etc. 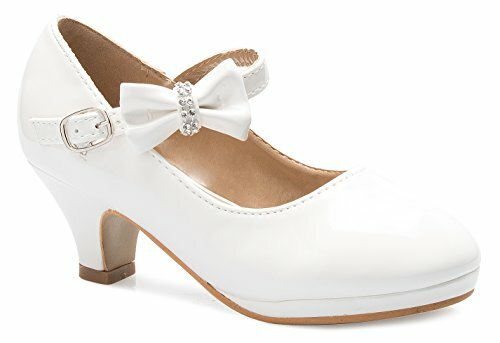 Anti-odour Close Skin Lining: Pro-Skin Sweat-Absorbent Dry Circulation Girls Party Wedding School Uniform Shoes,Let Your Kids Feet Feel More Comfortable. 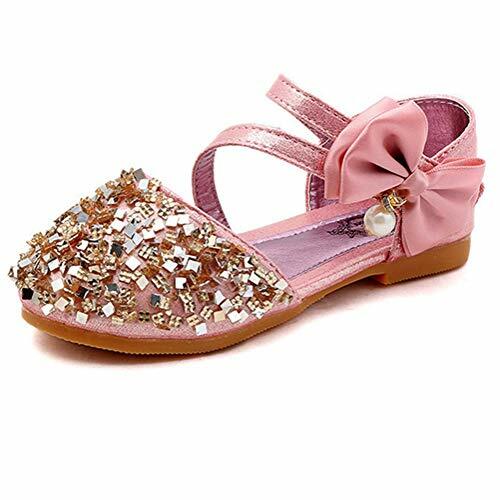 Occasion:Girls Dress Shoes,Wedding Shoes,School Shoes,Party Shoes,Dance Shoes,Outdoor,Holiday,Daily etc.